Pickering Place is a low-maintenance community in Belton, Missouri. It features 158 homes available for resale as single-family homes, duplexes, triplexes, and sixplexes. Residents take part in many social activities in the community clubhouse and Kansas City is just a short drive away. Pickering Place features a clubhouse where residents take part in weekly activities. Inside are meeting rooms, a library, an exercise room, and billiards. Outside, residents can relax on the patio and enjoy the view of this tree-lined community and of the scenic parks and natural space. Pickering Place was built between 1984 and 2015, totaling 158 homes available as single-family homes, duplexes, triplexes, and sixplexes. These homes range in size from 1,040 to 1,164 square feet and feature two bedrooms, one or two bathrooms, an attached one or two-car garage, and a covered patio. Residents of Pickering Place have more time for themselves in this low-maintenance community. A monthly fee covers A/C preventative maintenance, use of the clubhouse, painting, trash pickup, utilities, lawn care, and snow removal. Homeowners participate in weekly activities such as pot luck dinners, ladies meetings, bowling outings, cards, dominoes, exercise classes, dancing, and men’s coffee and pool. Pickering Place is conveniently located near supermarkets, grocery stores, and drug stores. Several golf courses are in the area, including Eagles Landing Golf Course, Creekmoor Golf Course, and Peculiar Golf and Learning Center. With Interstate 49 nearby, Kansas City is just a half-hour drive away, offering big-city fun as well as the Kansas City International Airport. 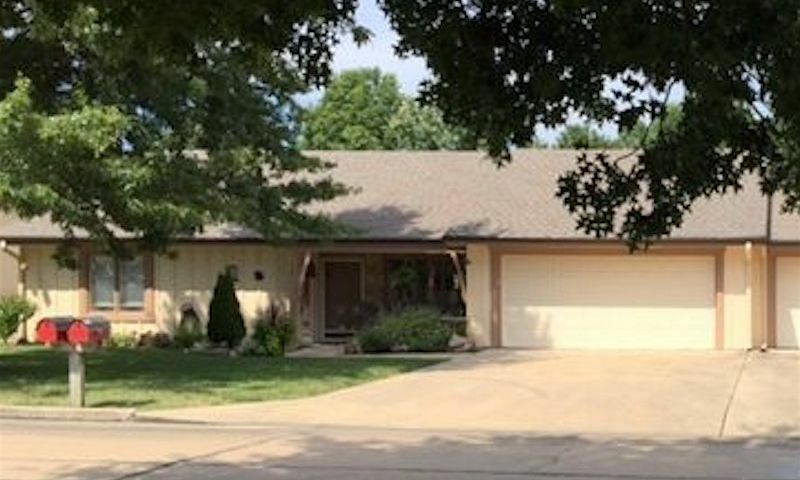 With low-maintenance homes in a friendly community, Pickering Place in Belton, MO offers active adults a laid-back lifestyle in a great location. There are plenty of activities available in Pickering Place. Here is a sample of some of the clubs, activities and classes offered here. Pickering Place was built between 1990 and 2015, totaling at 158 units available in single-family homes, duplexes, triplexes, and sixplexes. These homes range in size from 1,040 to 1,164 square feet and feature two bedrooms, one or two bathrooms, an attached one or two-car garage, and a covered patio. 55places.com is not affiliated with the developer(s) or homeowners association of Pickering Place. The information you submit is distributed to a 55places.com Partner Agent, who is a licensed real estate agent. The information regarding Pickering Place has not been verified or approved by the developer or homeowners association. Please verify all information prior to purchasing. 55places.com is not responsible for any errors regarding the information displayed on this website.